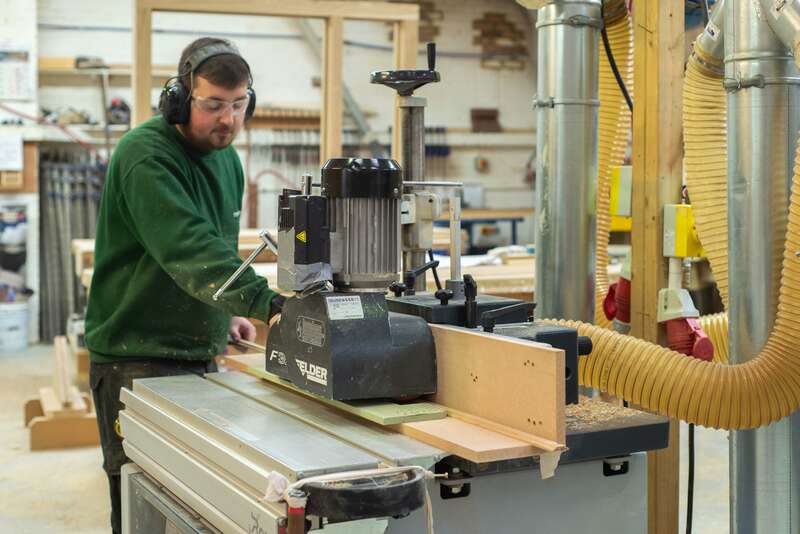 There are many skillful processes that go into making our bespoke timber windows and doors. 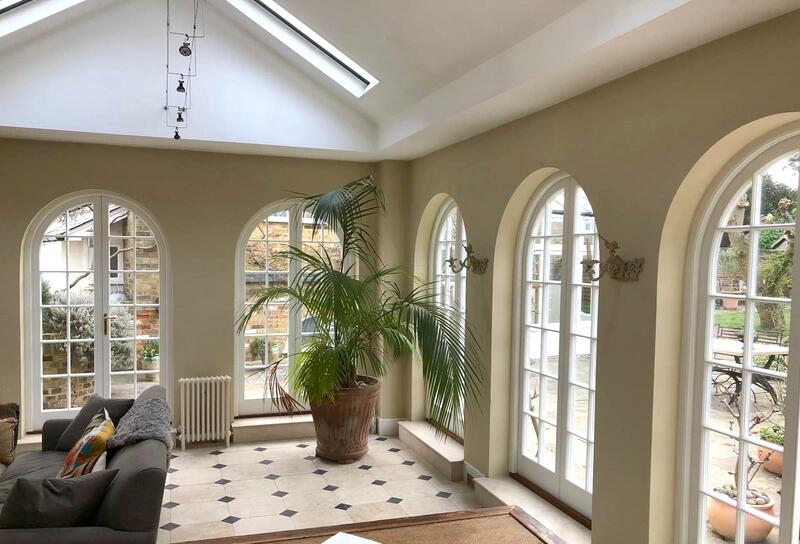 From sash windows and casement windows to French doors, front doors and bifolding doors, we produce all types of bespoke windows and doors for period, conservation and listed properties from our West London factory. The first process after a survey has been carried out is to have detailed technical CAD drawings of the windows and doors drawn up by our technical team. 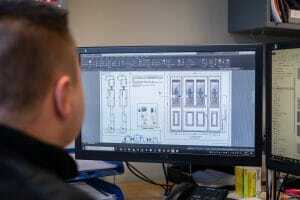 This is where all the design elements, dimensions, mouldings, glazing options, locks and operation are laid out and confirmed with the client before production begins. 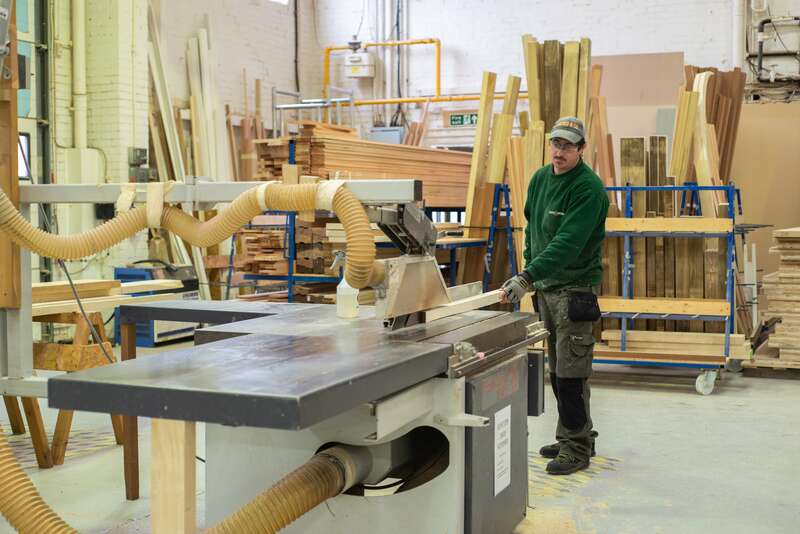 Once the designs are agreed, the first part of the process in the factory is to cut and plane the timber down to size. This is known as ‘formatting’. The timber that we most commonly use is Accoya, because it is incredibly stable and durable, as well as being thermally efficient, but we also work in other durable timbers including Sapele and Oak. Next, the timber is rebated, shaped into the relevant profiles and mouldings, and mortise and tenon jointed. 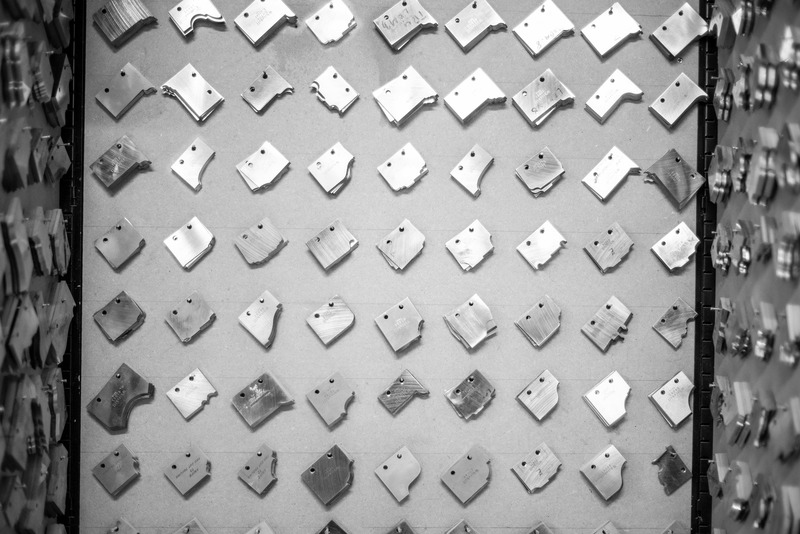 We use a traditional ‘spindle moulder’ (right) for more bespoke mouldings, and unusual shapes that can be found on listed windows. 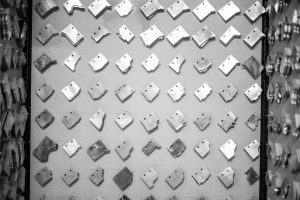 As you can see on the left, we have a vast range of cutters to create all the different mouldings throughout the ages – and we often get cutters specially made for a unique moulding style requested by a client, architect or planning authority. 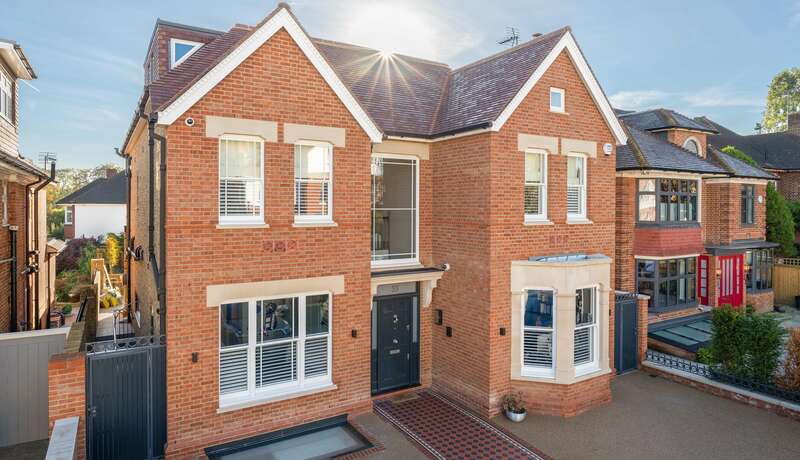 This traditional method of joinery, with mortise and tenon joints, offers us the most flexibility to exact match period architecture – so whatever the style, we can replicate it. 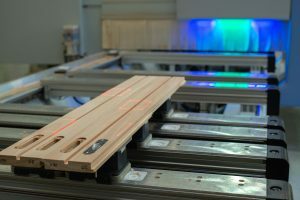 However as well as using traditional joinery techniques and machinery, at the other end of the spectrum we also use a fully automated ‘CNC’ machine, (right) which is laser guided and has a 5D axis to cut out and machine details in the timber ready for multi-point locks, hinges and pulleys – as well as being used for more unusual shapes such as curved windows. 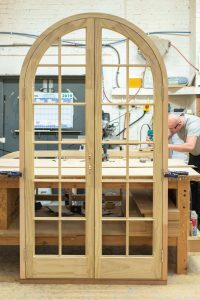 The joinery elements, including any glazing bars, are then fitted and glued together, sanded down to ensure a smooth finish, and fitted into the frames and ready to be taken to the paint booth. 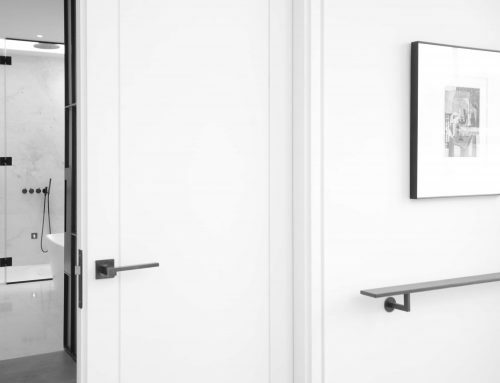 Before a window or door is painted, all hardware is ‘dry fitted’ to ensure correct fitting and operation before being removed again. 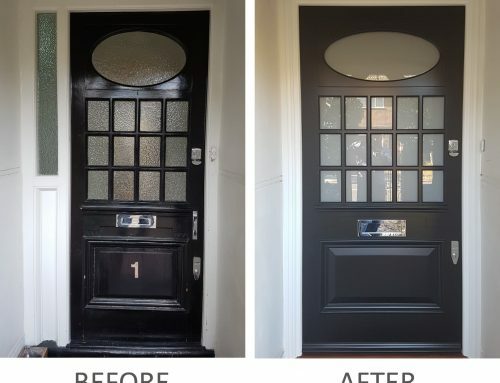 The reason we remove the hardware before painting, rather than paint around it, is because we spray paint over the entire surface of the timber – including underneath the hinges and inside the locks – so the timber is completely sealed and fully watertight. Each window and door is spray finished with Teknos 3 Coat Paint Finish System. 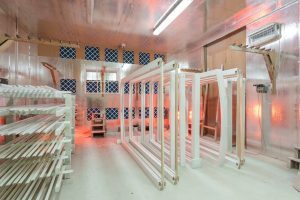 After being sprayed with each coat, each item is left to dry in the drying room where infrared heaters assist with the drying and bonding process. 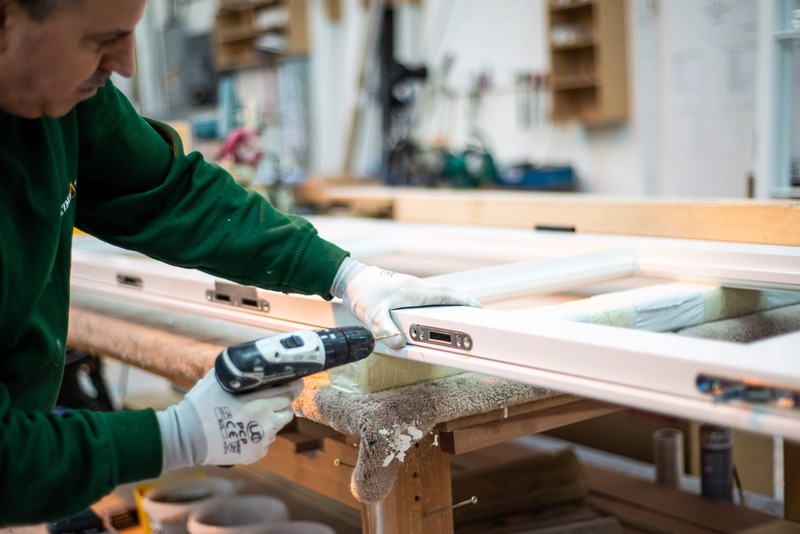 Between each coat our painters use filler and fine sand paper to ensure the best possible adhesion and a super smooth finish. 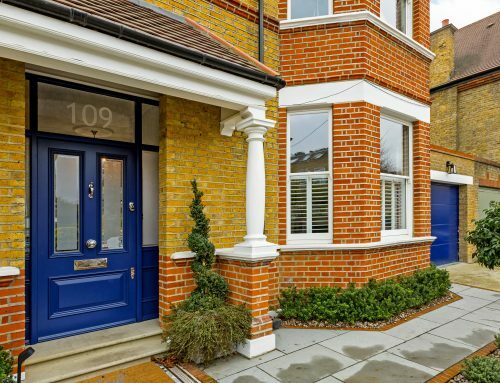 Teknos is our choice of paint because it is a long lasting microporous paint, which allows the timber breathe, and we are able to match any Farrow and Ball or RAL colour. 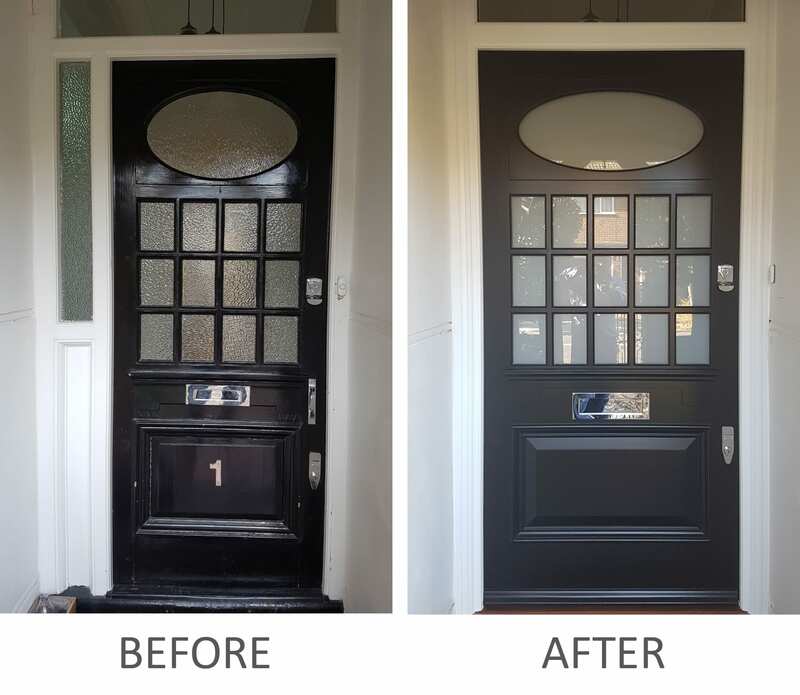 Now the painted window or door is ready to be glazed and to have the hardware fitted. 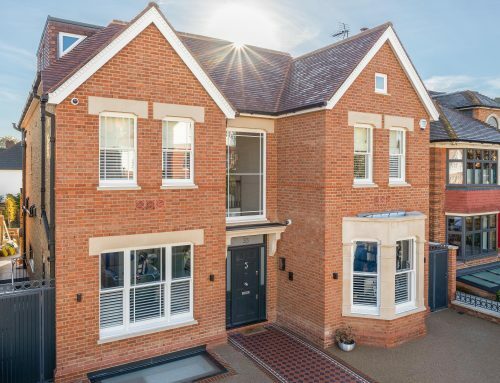 For our heritage windows, we use individual double glazed units with solid glazing bars – which means as you can see on the right, a single sash could have several individual glazed units fitted within it. 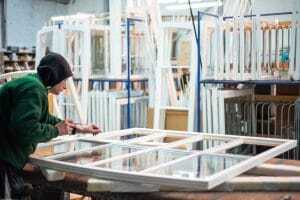 Each unit of double glazing needs to be fixed in place with silicon, to ensure the window is watertight. 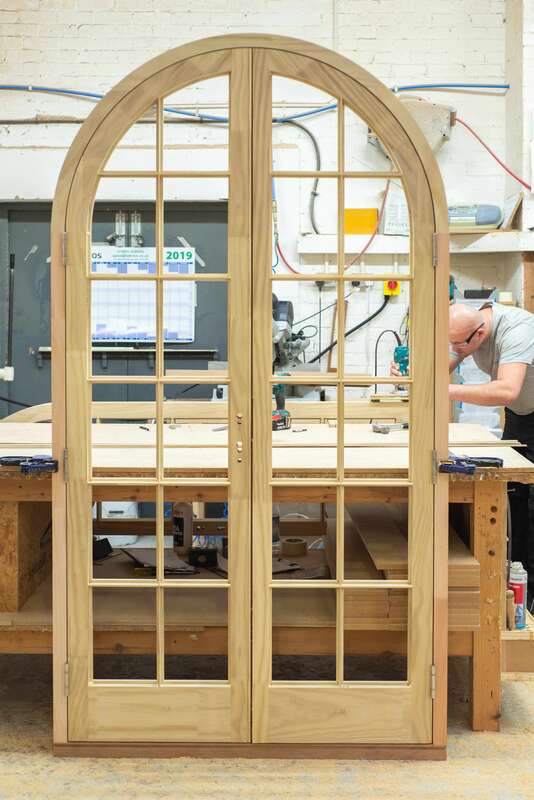 Once the units are in place, our glazers then apply a line of putty or a timber bead to fix the glass in place. 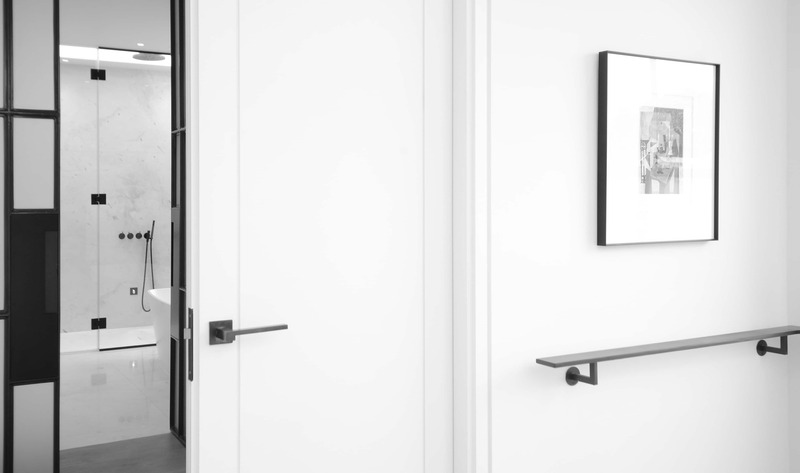 We offer a wide range of hardware across our products, or can fit the client’s own choice of hardware. 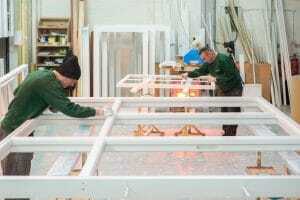 All hardware is refitted and the windows/ doors are fully assembled once they have been glazed, and prior to a quality control inspection, ready to leave the factory and be installed onsite by our installation team. 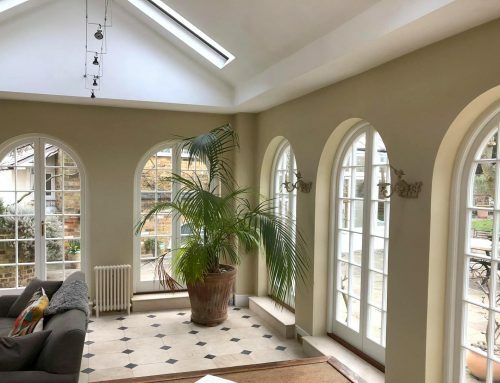 As well as replacement sash windows, casement windows, French doors, front doors and bifolding doors, we also offer draught-proofing and sash window repair, and new double glazed sashes fitted to the existing frames, where the frames are in good enough condition to be saved. 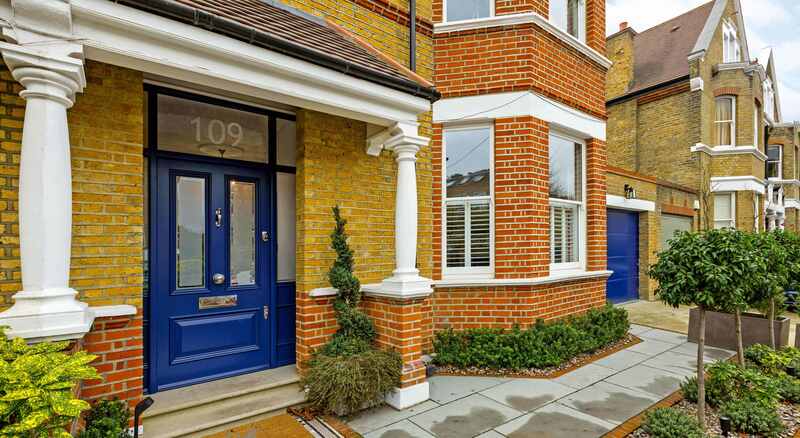 We work throughout London and the Home Counties. To find out more about our products or to get a free survey and quote, please get in touch to speak to one of our specialists.